While your kiddos may think that eating chicken nuggets and mac n cheese for every meal is a viable option, we know it isn't. 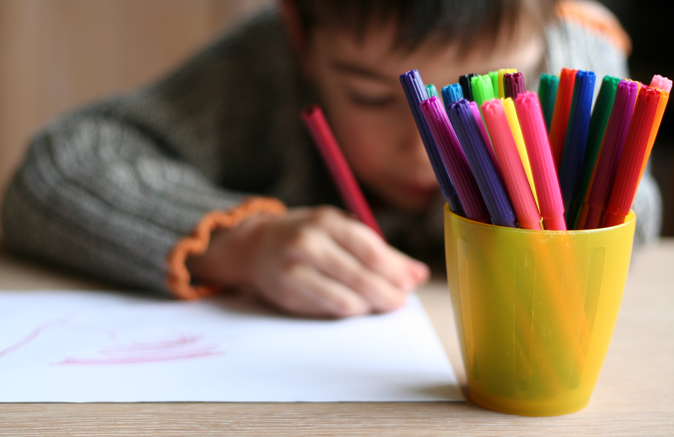 Even harder is finding something your little one will eat that's also good for them, which is pretty much a never-ending challenge. This article is for the mom tired of jumping through hoops to please their picky eaters at meal times. 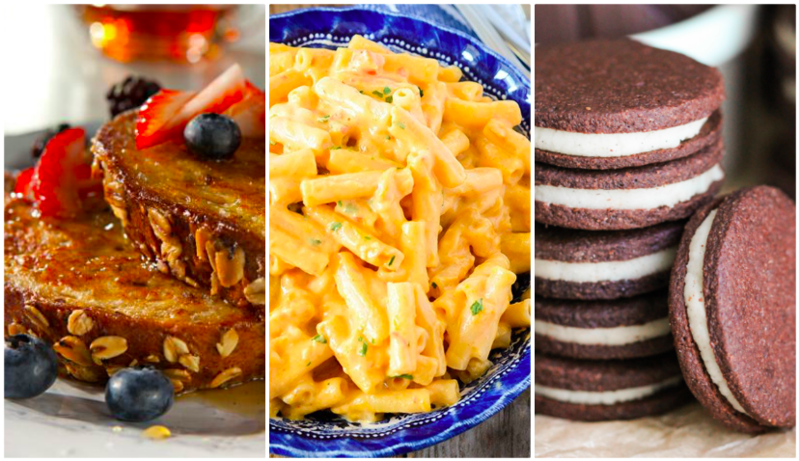 We've compiled these 8 recipes, spanning all the meals from breakfast through dessert, we think even the pickiest eaters might like. Our slimmed-down take on this Sunday morning family favorite is practically saintly. 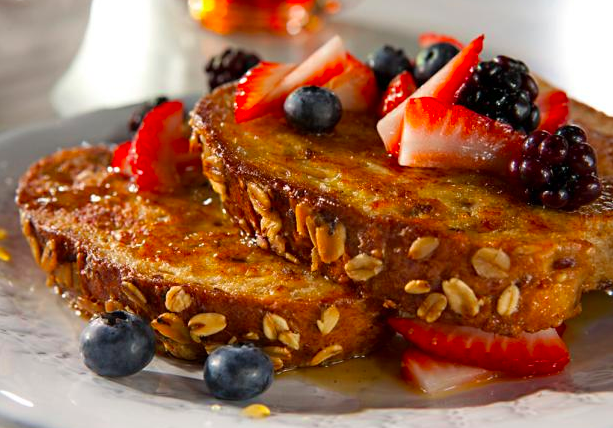 Using low-fat milk and egg whites gives it half the fat of traditional French toast. 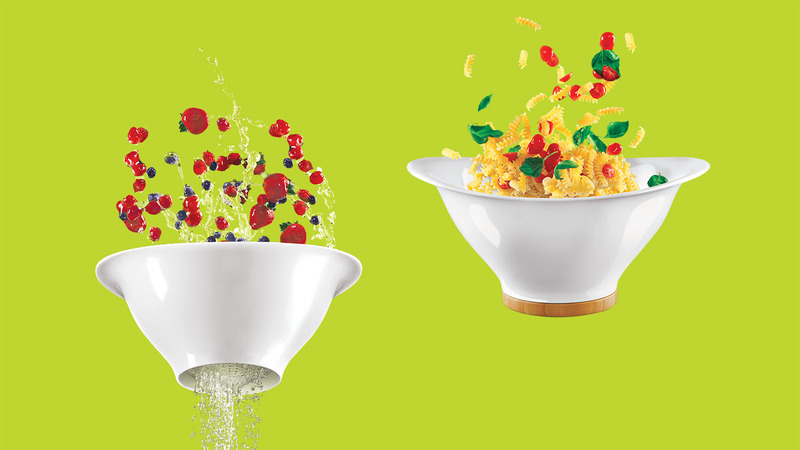 Plus, it's a cinch to whip up! The use of milk, egg whites, and whole-wheat bread make this version a healthier option. Head to Cooking Channel for this delicious recipe. Baked oatmeal has kind of a soft and chewy texture, but it’s absolutely delicious and even perfect for picky eaters. 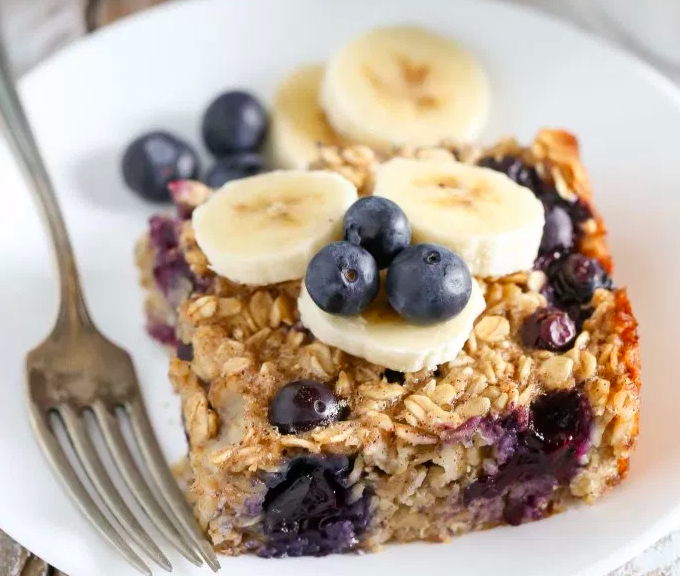 I love to make a batch of this Blueberry Banana Baked Oatmeal and eat it over some Greek yogurt. It’s also great with a little pure maple syrup, almond milk, or fresh fruit on top. Head to Live Well Bake Often for this recipe! You can buy them in the frozen food aisle of your grocery, but why bother when you can have the real thing and make them even healthier with Homemade Tomato Sauce and use fresh whole wheat bagels. 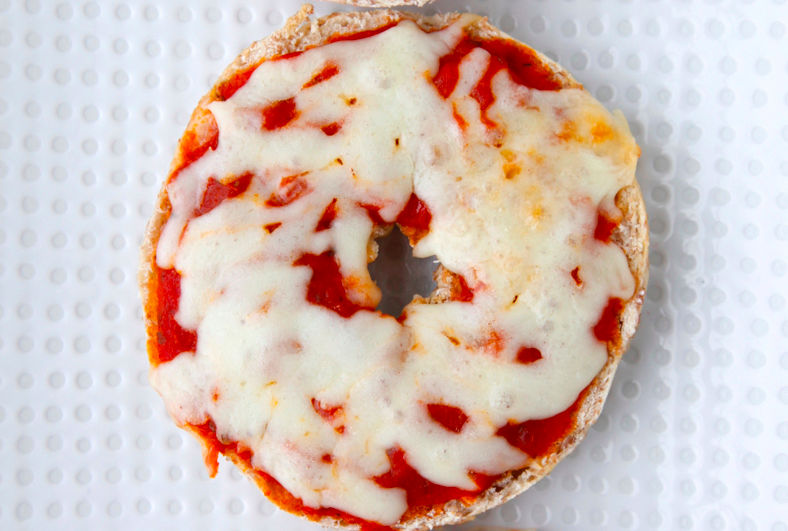 The bagels become really soft when you bake them covered by a layer of soft and gooey cheese and tangy tomato sauce. 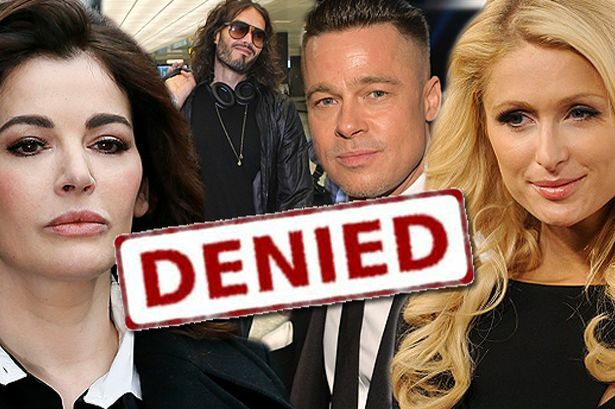 For this Rewind Wednesday post I'm bringing back one of our all-time favorites! Head to Weelicious for this recipe! 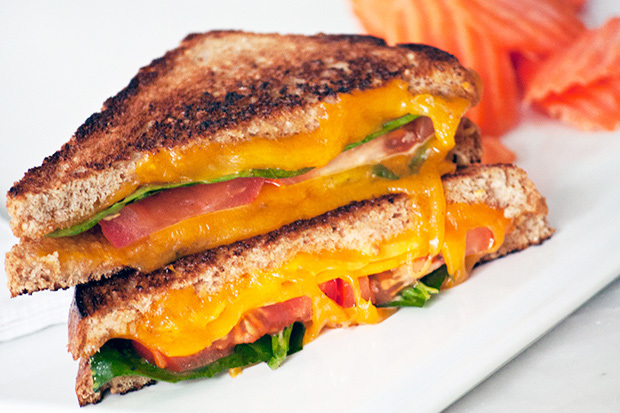 Believe it: There is a guilt-free way to satisfy your grilled cheese craving. Packed with tomatoes, spinach and, of course, gooey cheese, this sandwich has plenty of calcium and protein from the cheddar and the sprouted-grain bread. Plus this outer shell has fewer calories and carbohydrates than regular bread. Plus, we can pretty much guarantee this will only take about 10 minutes to make. Head to Daily Burn for this recipe! 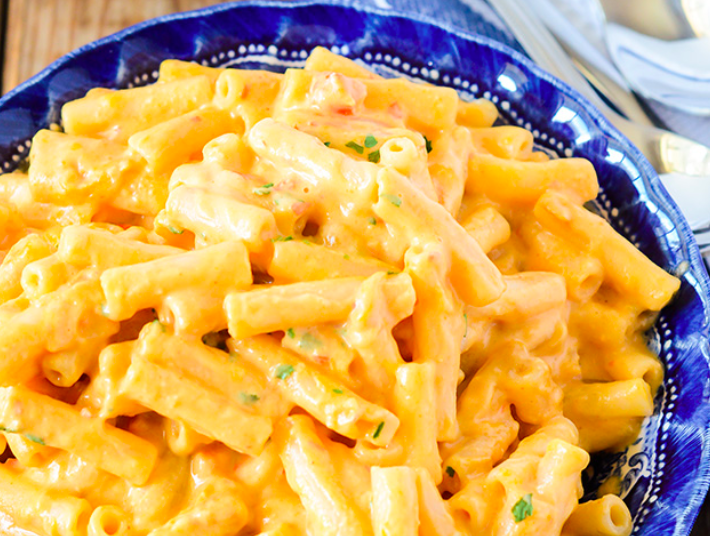 When you are hungry and you are looking for the perfect comfort dish to satisfy the whole family, this creamy Vegan Macaroni and Cheese is just the answer! This recipe is cheesy, velvety, creamy and buttery! Cheesy – Combination of nutritional yeast or noni juice and coconut milk give this macaroni cheese a cheesy flavor. Velvety- Cashews and coconut milk makes it velvety. Creamy- Cashews and coconut milk shine here. Buttery- Coconut milk helps to give a buttery flavor. Head to Healthier Steps for this recipe. 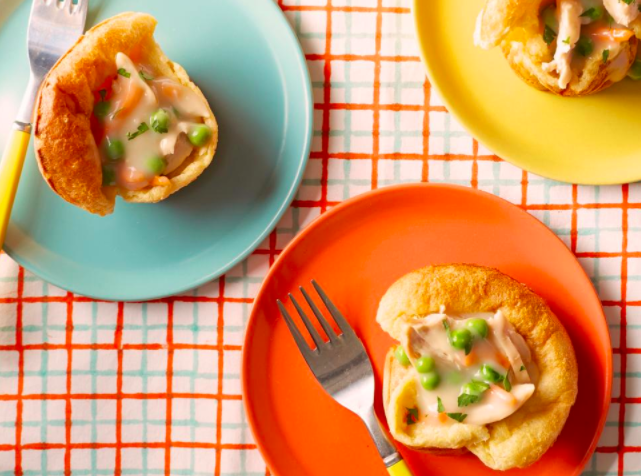 These comforting popovers with a creamy chicken filling are appealing to adults and kids alike. For little kids: Let them crack the eggs, stir the batter and shred the chicken. For big kids: Let them measure and stir the ingredients for the popovers and filling. Head to the Food Network for this recipe! 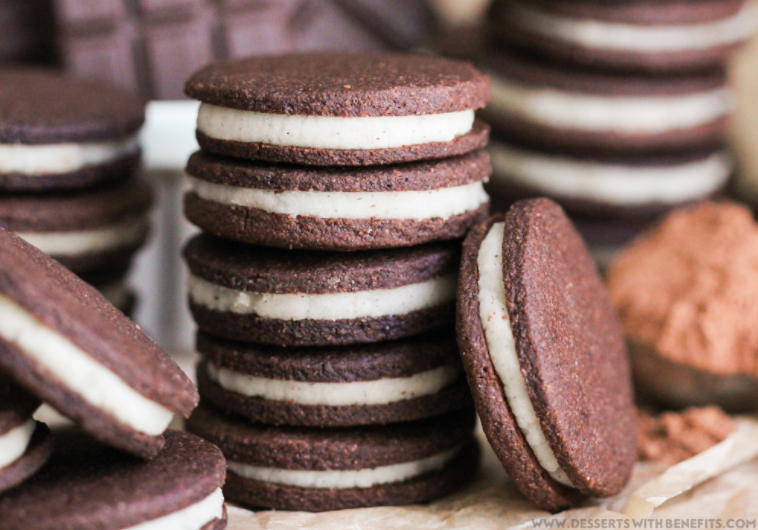 These Healthy Homemade Oreos will fulfill your wildest dreams! They’re chocolatey and sweet and 100% delicious and addicting, they’re serious rivals to the storebought variety. But, there’s something very different about this DIY version… these are sugar free, gluten free, dairy free, and vegan! Yup, that means no artificial flavorings, no high-fructose corn syrup, and no refined white flour! And BEE TEE DUBZ… these are totally dunkable too. So grab a glass of milk or almond milk or soy milk or cashew milk or whatever milk you like, and dunk dunk dunk, then bite bite bite. Head to Desserts with Benefits for this amazing recipe! 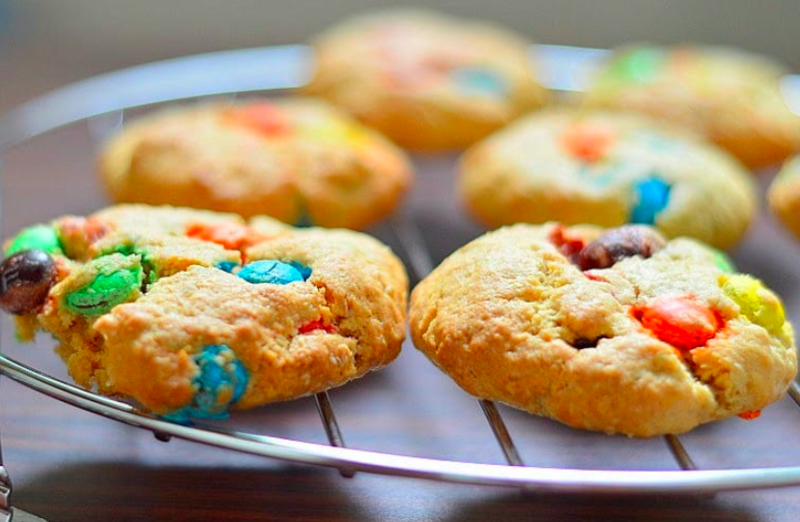 These cookies are made healthier by using whole wheat flour along with some oats. The recipe also uses less butter than other similar recipes and is eggless too. The resultant cookies are delicious, a little soft and chewy with a mild crunchiness to it. 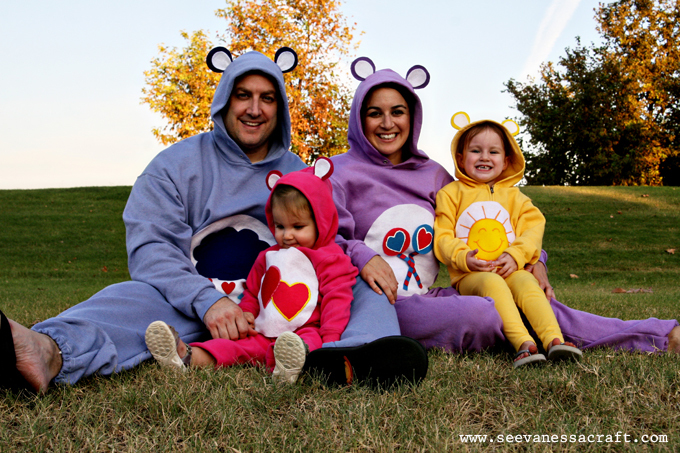 My kids loved them and yours will too! Head to Creative Saga for this recipe!